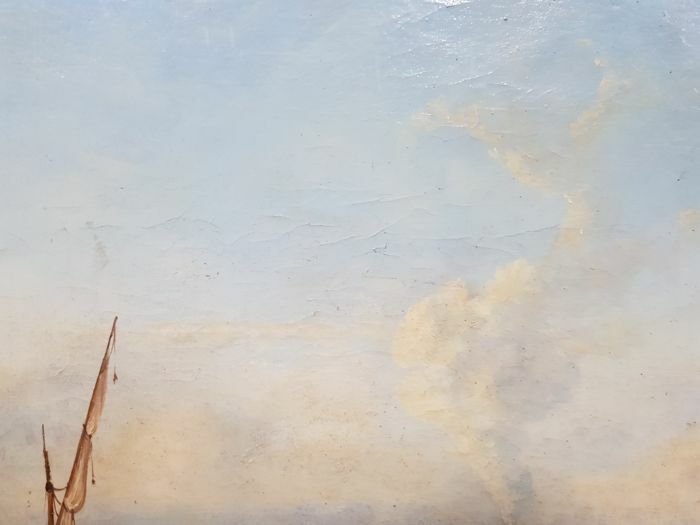 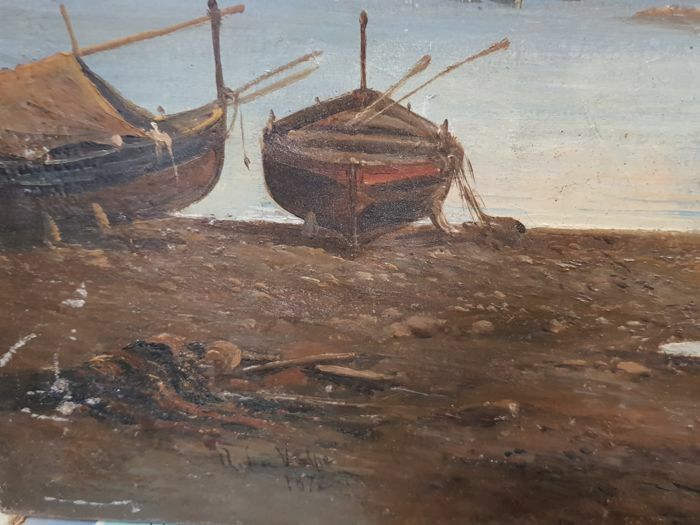 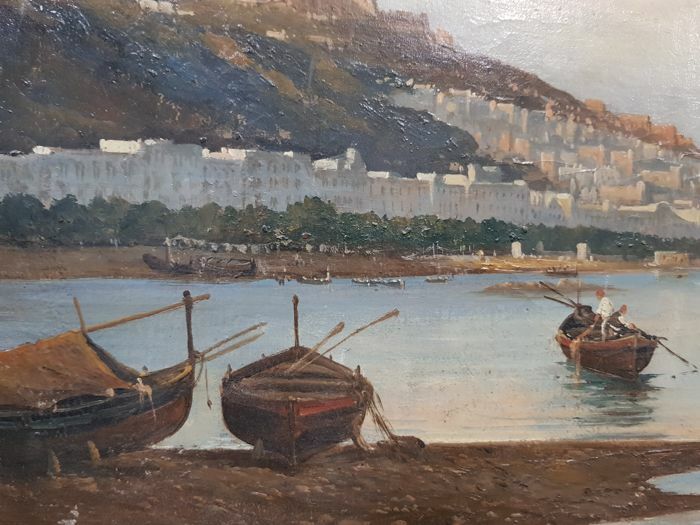 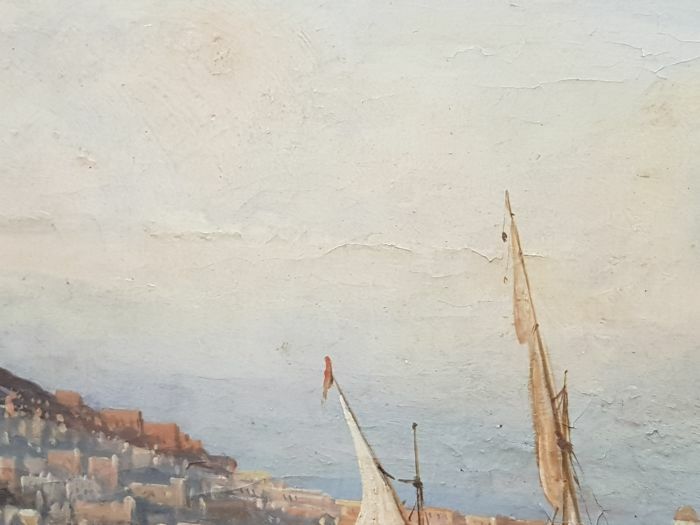 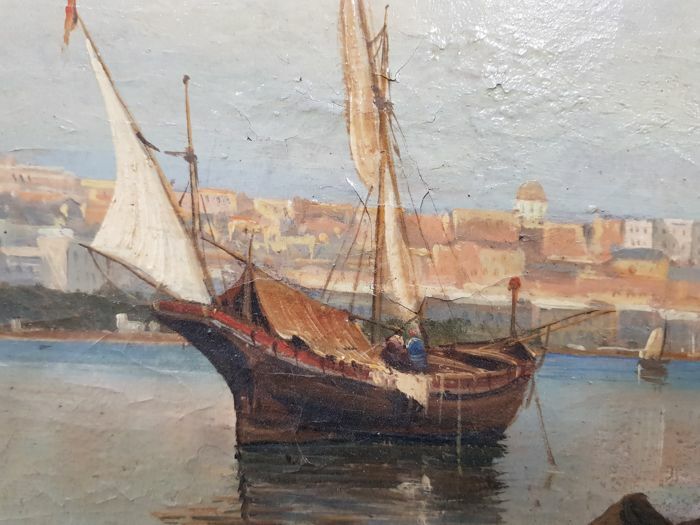 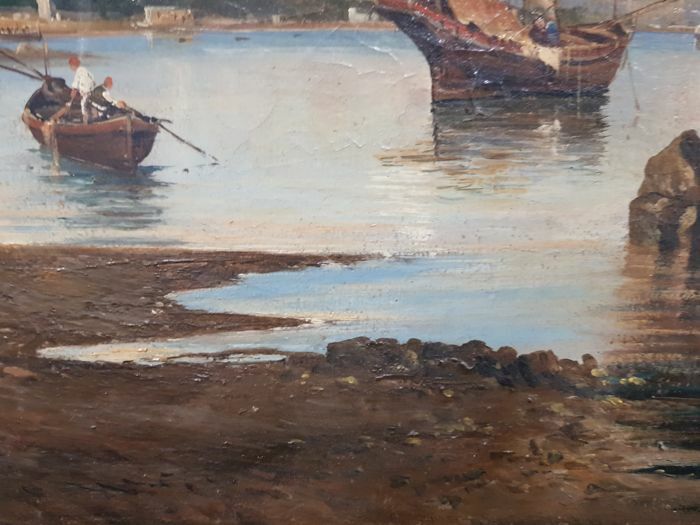 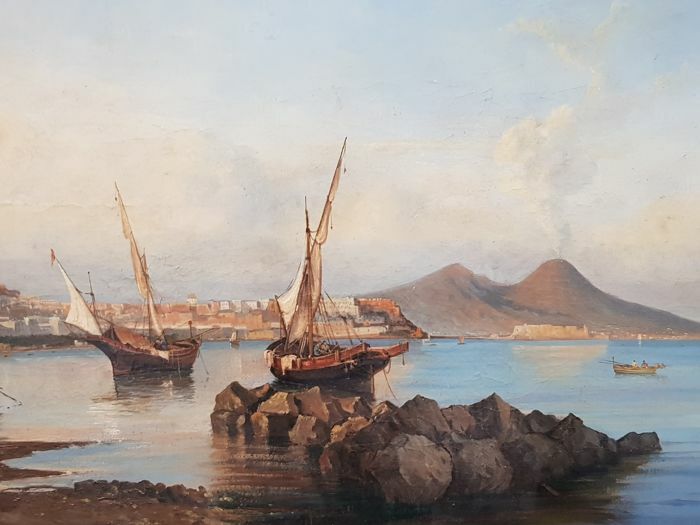 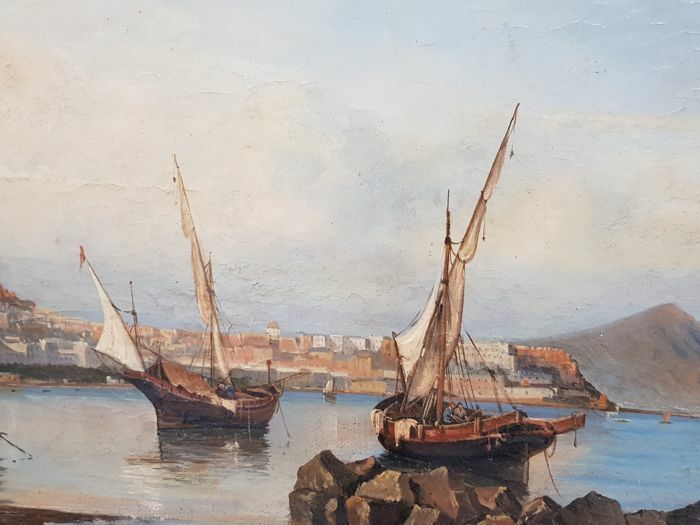 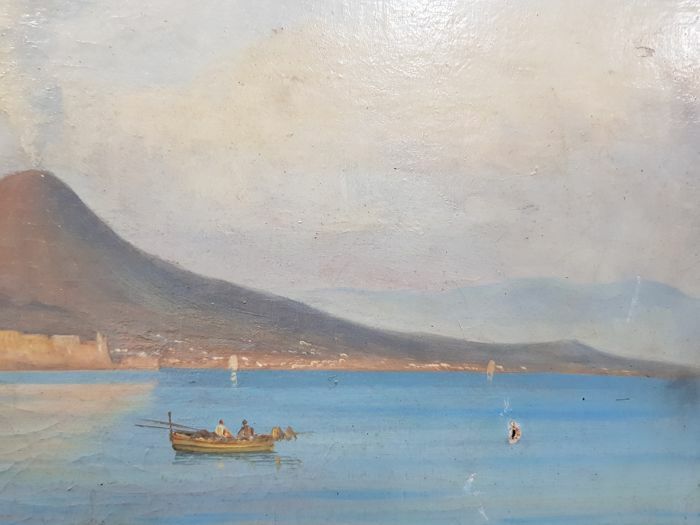 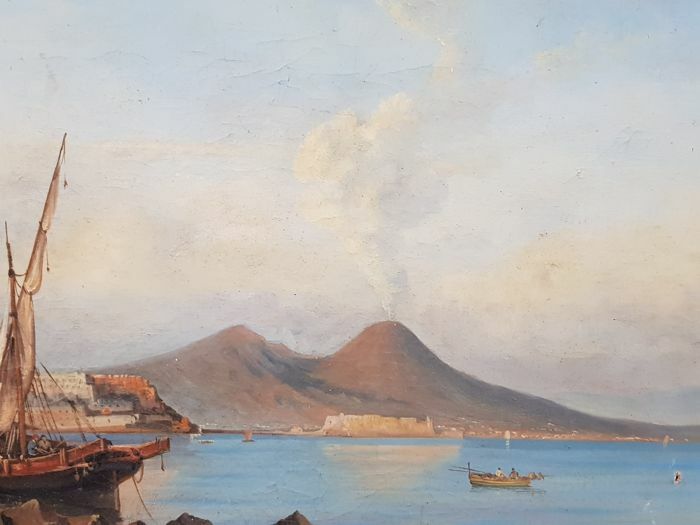 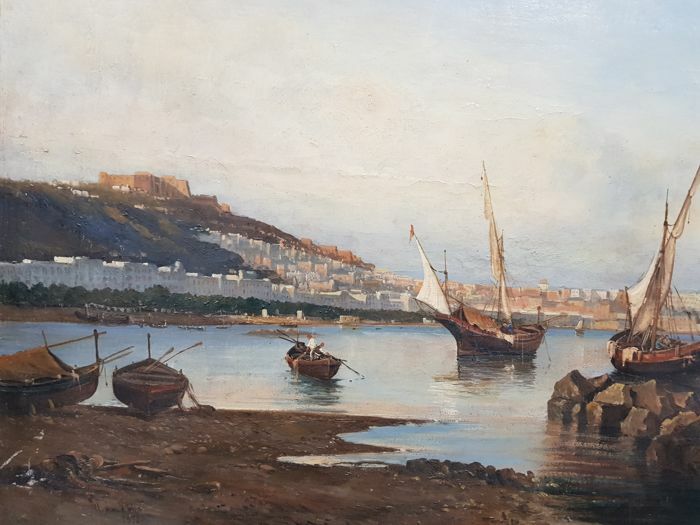 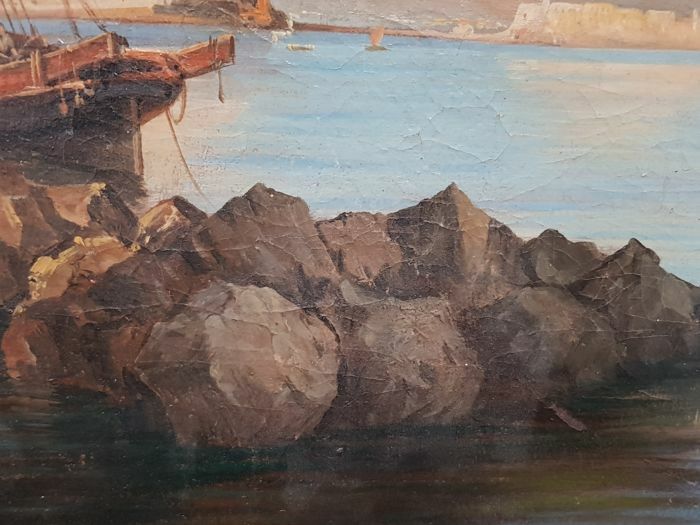 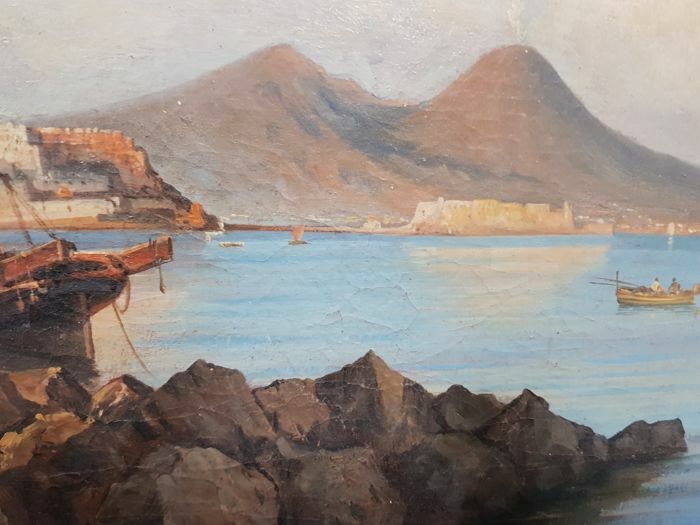 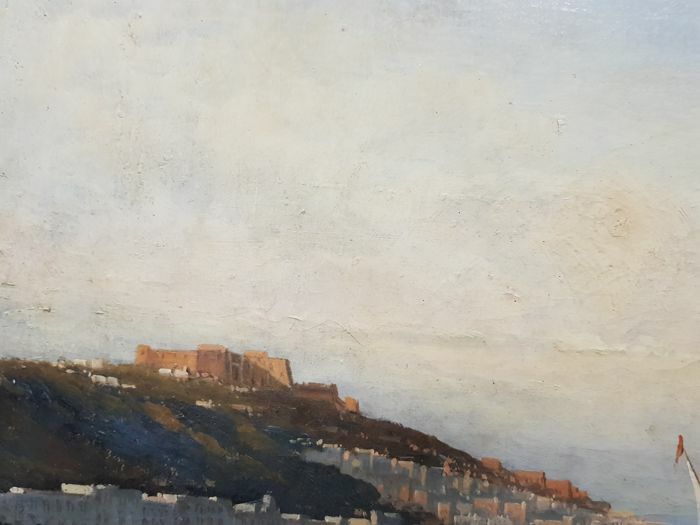 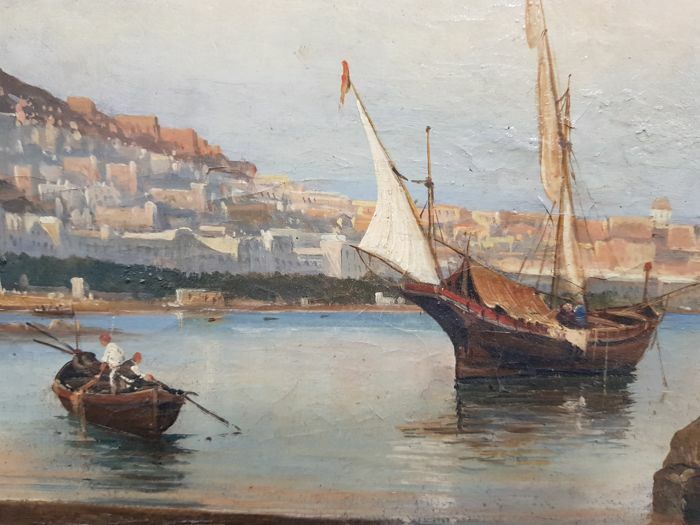 Oil on canvas depicting the bay of Naples with boats and fishermen in the foreground, signed A. 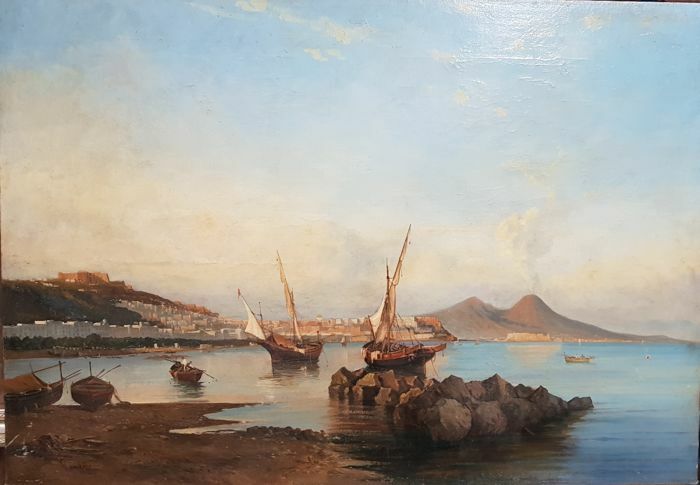 La Volpe 1872 on bottom left. 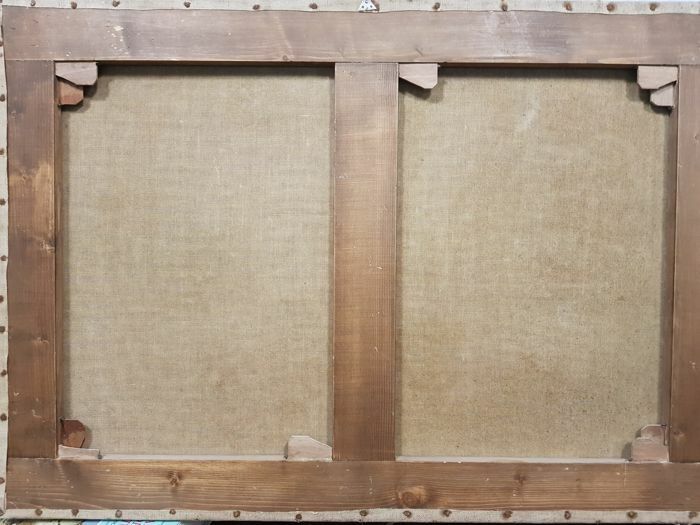 The painting has been re-lined and re-stretched. 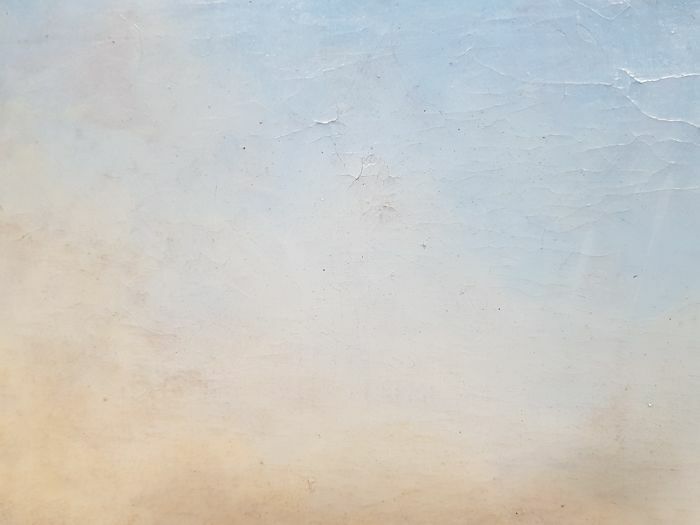 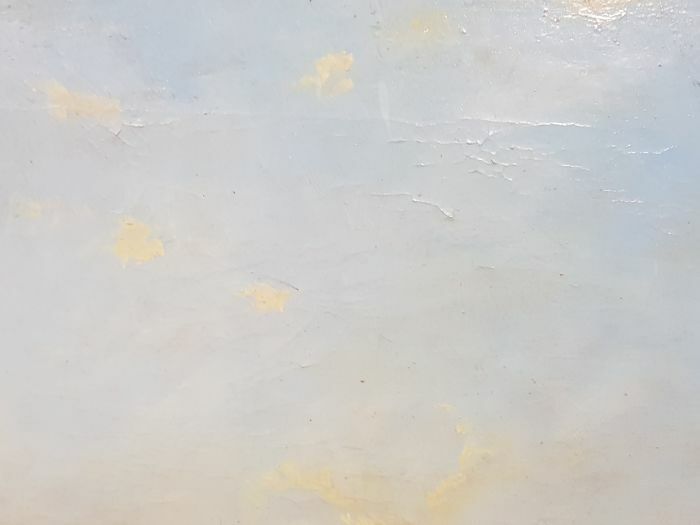 There is an obvious craquelure that extends over almost the entire painted surface. 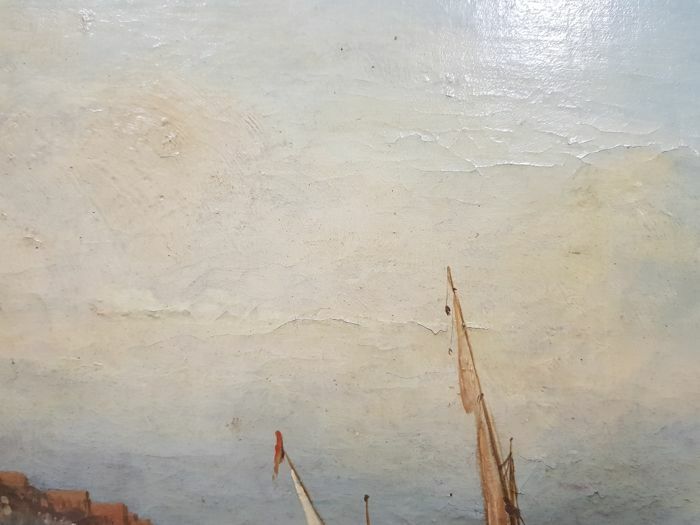 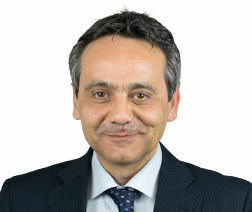 Small hole at the bottom of the canvas, as shown in the picture. 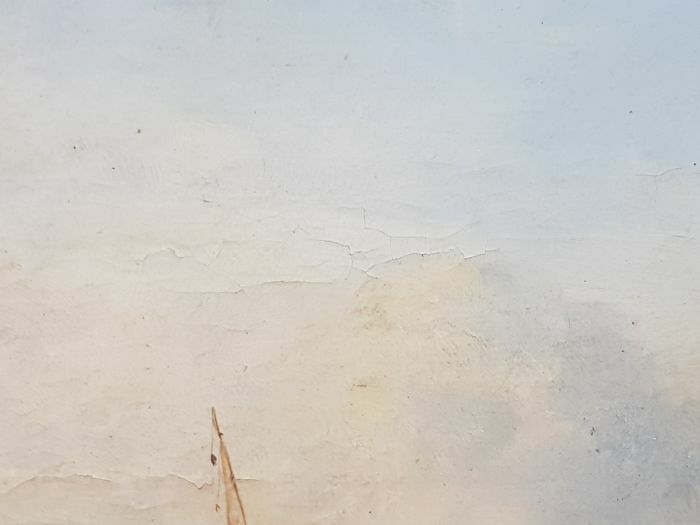 Small scratches on bottom left, as shown in the picture. 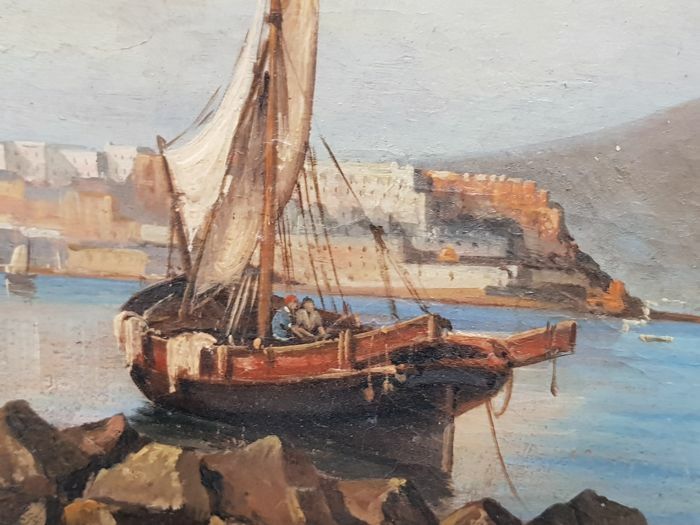 The painting is further accompanied by an appraisal by an external expert of the court which will be attached to the painting.